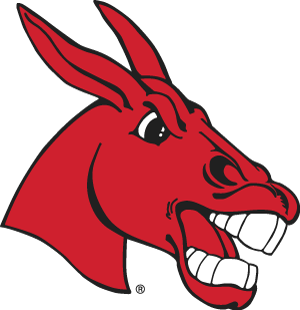 It's Cool to be a Mule! Show your Central Missouri pride every time you venture out in your vehicle! 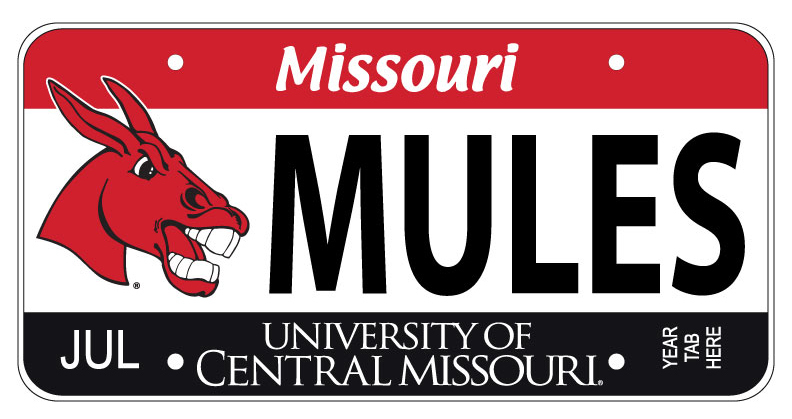 The “Fighting Mulehead” license plate is available to all alumni, students, parents, fans and friends who have registered Missouri vehicles. By purchasing personalized license plates, you also help financially support the University. You can order UCM plates anytime regardless of your current plate’s expiration date. These plates expire annually (or biannually if you have a two-year registration) in the month they are purchased. 1. Mail a tax-deductible donation of $25 to the UCM Foundation, PO Box 800, Smiser Alumni Center, Warrensburg, MO 64093. If you want a two-year registration, the donation is $50. Make your check payable to the UCM Foundation and indicate the area of the university you want your gift to support. If you want to charge the donation, please call us at 660-543-8000. 3. When we receive both your check and request, we will send you the statement that you will need to take to your local license bureau. The statement is proof that you contributed to UCM and is required when you submit your plate application. 4. Complete a personalized plate application available at your local license bureau. 5. Mail your application, our Emblem Use Authorization Statement and the $15 personalized plate fee to the Motor Vehicle Bureau, P.O. Box 100, Jefferson City, MO 65105-0100. 6. Pick up your plates at your local license bureau when they notify you the plates are available. If you have questions about your order, contact your local license bureau. 7. DRIVE! And show off your UCM pride!